With 165 5-Star reviews on Yelp!, we are proud to be the top-rated long-distance moving company in New Jersey. What Do Real Customers Say About Our Long Distance Moving Company in New Jersey? Ready to start your long distance move or want to ask us a question? Call us at (201) 266-3666, and we’ll walk you through each step of the process to find the most efficient and reputable New Jersey Long Distance Moving solution for you! Are you moving across the state or even across the country? It is hard enough being far from the people and places you know and love, but there is also adjusting to a new environment. On top of all this, there are way too many tasks to complete before moving into your new place. Longer distances add layers of complication to a move, so you need experienced long distance movers NJ to ensure that your long-distance move is fast, efficient, and stress-free. Hiring the best helpers in New Jersey is the most effective way to reduce moving day stress. We are a full-service long-distance mover who can manage the logistics, packing and unpacking, and all coordination for you. Establish your moving budget. This step determines the rest of the move. Be realistic when deciding how much you are willing to spend. Bear in mind that your budget determines how early you should start the preparation. Inform utility companies about your house move. Do your research. Ask other clients to recommend good long distance movers, visit the movers’ websites, contact them personally, visit their offices. Get quotes from different companies and compare them. Hire the right moving crew. With the help and advice from the right long distance movers NJ, this risky venture should be trouble-free. Make a plan. Write down all the things you need to do before, during and after the moving day in order to stay organized. Besides, there are so many little details that are very easy to overlook. Let people know that you are moving. There are probably quite a few people whom this may concern. For example, your friends and family, coworkers, etc. Throw a farewell party. Since you will be saving a lot of money by hiring affordable NJ movers, you can afford to have a party or at least a small gathering for your loved ones. Get rid of the things you won’t need in your new home. Organize a yard sale, donate, throw away. Update your address. You do not want your mail delivered to your old home, right? More importantly, some of your documents contain your current address, make sure you change it. Cancel cable TV, Internet, electricity, gas and other utilities. Before canceling, make sure all your bills are paid. Your move starts with packing. Our long distance movers NJ can do the packing for you, pack the fragile items only, or let you do everything. You also have the option to use our packing materials. 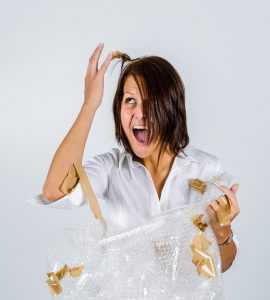 Our experienced packers can offer useful tips on how to pack fragile items if you prefer doing it yourself. Furthermore, we have the tools and knowledge to disassemble certain items for easy transportation and later reassemble them. Skilled furniture movers NJ can disassemble even the biggest and most complex pieces of furniture. Then comes loading, driving and unloading. We do this with care and patience, so as to avoid damaging your possessions or the house itself. Our professional packers can take care of the unpacking after you arrive at your new home or office. You can be our guide through the process, showing us what goes where. If you need advice on the tasks you are tackling yourself, our long distance movers NJ will be happy to share their knowledge. Vector movers and packers will do their best to respect your wishes and demands as much as possible. In case the new location is not ready for you yet, your belongings can wait in the storage units we can provide. Why Choose Vector Movers As Your Long Distance Movers NJ? Moving is not just about transporting things from one place to another. Those items must be protected, put in the right place, deadlines must be met. You can expect all this and more from Vector Moving – the best long distance movers from New Jersey. Long distance moving is one of our specialties. We have moved individuals, families, and businesses from New Jersey to Florida and everywhere in between. Unlike other long distance movers who cannot guarantee arrival times, we provide you with an exact date for arrival at your new location which means you can settle into your new home sooner, rather than later. When it comes to long distance moving, organization and professionalism are essential, and that is exactly what you’ll get from Vector Movers. Our team consists of skilled professionals who undergo thorough training to prepare for handling different aspects of relocation. New employees work with more experienced colleagues until they are ready to take more responsibility. They are punctual, polite, diligent and fully committed to the job. The drivers, movers, and packers who work for us are people you can trust. Moreover, you will be given a relocation specialist whose job is to answer all your questions and calculate a precise price quote. You will be able to see for yourself that our vehicles and equipment are always in perfect condition. As professional long distance movers NJ, we tend to follow the latest trends in the moving industry, implementing new techniques and equipment to make sure you get the best service a company can provide at this time. Each move is different and requires a different combination of packing services NJ. And the choice of services is yours. Apart from long distance moving, we offer local moving, residential and commercial relocation, as well as additional services such as packing, unpacking, assembling and storage services. In addition, high-quality packing supplies, including boxes of all shapes and sizes, can also be purchased from us. Although inexperienced movers are not necessarily bad movers, someone with experience is less likely to make a mistake. Why hire a brand new company and put your relocation in jeopardy? Thanks to years of experience, our movers have developed a routine that cannot fail. Our long distance movers NJ have 20 years of combined experience. We have completed all kinds of residential and commercial long distance moves. We know how to pack, unpack, transport and store any item, under various circumstances. Our drivers know which routes to take to get your belongings from point A to point B quickly and safely. In our company, affordability and first-class service go hand in hand. 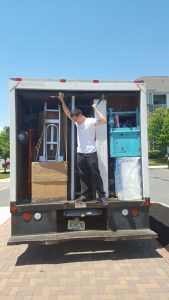 Contrary to what many people think, top-rated long distance movers NJ are not always expensive. We will find a way not go over budget, no matter how tight it is. Moving cannot be free but it does not have to cost an arm and a leg either. The price does not depend solely on the distance but also on how much you want us to do. Although you should skip the big DIY move, you can always do part of the job yourself if you wish to cut costs. However, be very careful since the lack of patience or experience may lead to unpleasant consequences. 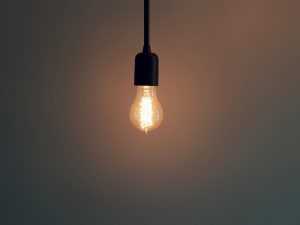 Although cheaper, DIY carries a lot of risks, besides, you can save your time and energy for other things. There are more cost-cutting methods. For instance, there is the time of the move. As we mentioned, your budget determines how early you should start preparing. The closer the moving date the higher the costs. Being flexible with the date, picking the right time of the year or month can also reduce your fee. It is all about making the right decisions at the right time. We provide accurate price estimates based on your description and/or an in-home inspection. We promise that no hidden costs will come up in the end. A binding estimate guarantees the final price will not be higher than a certain amount. You probably think doing everything on your own is much cheaper. However, that is usually not the case. Let’s see how full-service relocation benefits you financially. 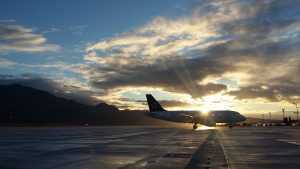 Flying to the new location while your long distance movers NJ do their job is more convenient and time-saving. Transporting everything in your family car would require a million trips back and forth. This is obviously not an adequate solution. Renting a truck and driving yourself could be an option. However, that comes with various additional costs. There are the hotels and food you need during your trip. Furthermore, long-distance travel requires a lot of gas. On the other hand, with us, you do not have to worry about those things. Also, it is easier to pay one fee that covers all expenses than pay for every single thing separately. DIYers do not have damage insurance and they are more prone to accidents. Finally, take into consideration the time you would spend doing everything yourself. You could devote that time to making money instead of spending it. Long distance moves are riskier than local moves. No matter how big or small your move is, leaving someone else in charge is a great way to protect your belongings. Not only do professionals have much more experience but they also have insurance. In case something gets damaged, which rarely happens, you will be repaid. If you or your friend break something during packing, transportation or unpacking, all you can do is say goodbye to it and move on. With us, compensation for damaged items is guaranteed. With experienced NJ movers you won’t put your belongings in danger. The number of moving companies NJ is constantly growing which makes it more and more difficult to pick the one you can trust. Having access to someone’s home or office and their possessions is chance for fraudulent moving companies to take advantage of you. The best way to protect yourself and your belongings is to choose wisely. After shady movers get inside your personal space and get hold of your belongings, a lot can go wrong. A common scam involves keeping your belongings hostage until you agree to pay much more than the initial estimate. Vector Moving has all the necessary documents and licenses to be in this business and we can prove it. Your belongings will be in safe hands. We truly care about each and every client equally. It is not our goal to provide mediocre service and never hear from you again. We do our job the best we can, hoping that you will hire us again and recommend us to others. Customer satisfaction is the biggest reward for what we do. Do not hesitate to tell us how you really feel about our long distance NJ movers. We value your honest opinion, whether positive or negative. Thanks to your feedback, we can improve our service and be even better at what we do. While you can visit local movers personally or simply ask your neighbors for referrals, you cannot do the same with movers that are not based near you. This is when technology comes in handy. Call the companies or send them an email with all the questions you need answers to. Moreover, don’t just listen to what they say about their own service. Your research has to go beyond their website. Asking previous clients is the safest way to find out the truth about a moving company. You can learn a lot from our previous clients willing to share their experiences. Many companies paint a picture that is too good to be true just to attract clients. Vector Moving, however, has the best reviews on Yelp and similar websites. Apart from reading online reviews, ask your friends, family, and coworkers who moved recently to recommend good long distance movers NJ. Unlike dishonest movers, your friends have nothing to hide.